I wish to draw your attention, friends, to an audio CD and to online music download, of an album called ‘Songs for Japan’ released by Sony Music. 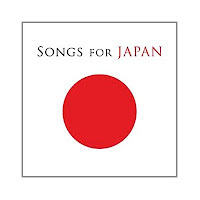 By buying this CD from a music store, or by buying this music online, you would be supporting a worthy cause; because SONY is donating 100% of the net proceeds to Japan’s Red Cross for the reconstruction of Japan, after the devastating tsunami two months ago. Available on the iTunes store for just $.9.9 (about BD 3.700, or AED 37 or INR 400), you will get to hear 38 amazing music tracks by various artists. The 38 artists, who lent songs to the album, include legends like Bob Dylan, U2, Bruce Springsteen and the late John Lennon; country acts like Keith Urban and Lady Antebellum; rock artists like the Foo Fighters, R.E.M. and Bon Jovi; pop icons like Madonna and Pink; and top hit makers like Bruno Mars and David Guetta. Also there are Lady Gaga, Eminem, Beyoncé, the Kings of Leon, Katy Perry, Justin Bieber, Nicki Minaj and Rihanna. What more can you ask for as little as BD 3.700? Listen to this collection of legal music, and help Japan. Be a better music lover and a bigger philanthropist at the same time, by buying many CDs and by gifting it to your friends. You can gift-mail them through Amazon.com too. Your friends will never get a compilation like this. And you can never get an opportunity to serve, like this. Little drops of water can make a mighty ocean. Let us buy and let us help. you are a man of public Anna, use full to many. if you say something it really draws the attention like never before.i like whatever you writes. keep writing dont stop anna. Can't the new IMF chief be Montek from India?